★Compatible with Xiaomi Yi 4K/ 4K+/ Yi Lite Camera. The action camera is not included. ★Easily to install and remove. It protects your Xiaomi Yi 4K action camera from bump and scratch. ★A minimalist style is easy to take with. ★40.5mm UV lens filter and lens cap help you to keep dust and scratch from the screen. 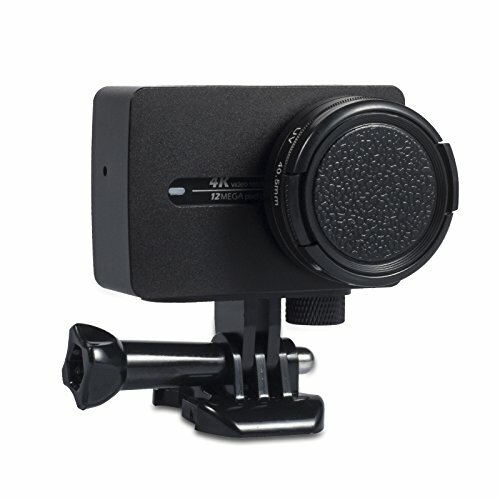 ★There is a 1/4" thread on the bottom, compatible with any tripod. If you have any questions about this product by Rhodesy, contact us by completing and submitting the form below. If you are looking for a specif part number, please include it with your message.